Whether you love these songs already, or this is your first time experiencing some of the tender tunes crooned by one of the best balladeers of all time, you are sure to enjoy this new release from EMI. 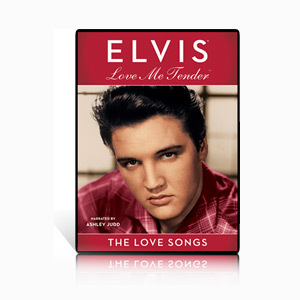 Released on August 25th, just a few days after the 32nd anniversary of Elvis’ passing, and narrated by Ashley Judd, this new release chronicles the career of the King from the perspective of his love songs. With additional input from interviews with members of groups that backed up Elvis throughout his career including: Gordon Stoker of the Jordanaires, Joe Moscheo of The Imperials, Ed Enoch of the Stamps Quartet, and Myrna Smith of The Sweet Inspirations, there is a substantial amount of anecdotes, trivia, and valuable insights, into the life of the legendary singer. Judd is provided with an informative and entertaining script which she delivers with the fluidity of a pro. She strategically compliments the program without ever making it about her. The documentary primarily relies on renditions of 22 songs from clips of Elvis’ many films, all of which are enjoyable as we watch Elvis evolve throughout his career. One of the most enjoyable clips on the single DVD release is from a Frank Sinatra television special in which Elvis appeared and performed a duet with Sinatra. It is, unfortunately, the most casual and natural that Elvis appears in this collection. Though the interviews include many wonderful stories, some behind-the-scenes footage would have only enhanced an already wonderful project. This release suffers more from a technical aspect, than any other factor. The little things may tend to frustrate some. The menu loads quite slow, the editing lags and leaves the screen black too long in many transitions, and the sound is awkward in many of the interviews. The information provided regarding the details of some of the motion pictures is inconsistent as well. Where extensive information and anecdotes are provided regarding some of the films, in other cases the audience is left with questions. In most cases it is the simple failure to identify the actress to whom Elvis is singing. The bonus material consists of extended interview with the above-mentioned backup singers and three commercials for Graceland. The additional interview footage is repetitive in some cases, but enjoyable for the most part. Recommendation: You may have seen some of this material before, and there are certainly more informative productions on the life of the King, but few as well put together and presented as this. 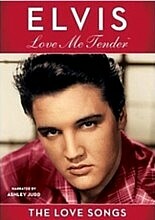 For the true fan or those still learning of Elvis' legend, this is a wonderful addition to any collection. You are sure to love The Love Songs.